It's time to leap and cheer and PARTY! Get ready for an overabundance of gifs and weird things. But stick with me because there's an insane amount of freebies and a HUGE teaser at the way end. Let's get this thing started!! I have to say, having this blog one year old is so strange. I feel like I've been chatting with you guys for years. Those who I talk to in communities and who have reviewed and supported my first novel, I love you guys. I want to give a special shout out to those who have helped me along the way, in whatever way you did. I needed a lot of help! I know when I first started, I had no idea how to do any of this stuff and now, I like to say that I'm a professional. Well, mostly. I don't want to get all deep since today is a day of celebration and I have some really fun stuff for you guys. And freebies. I mean, who doesn't love some free stuff. Heck yeah! 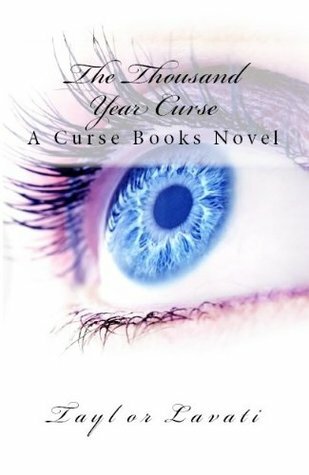 The Thousand Year Curse is FREE TODAY AND TOMORROW (January 7th and 8th) on amazon only. Here is a link, TTYC IS FREE. So be sure to download your copy because book two comes out in under a month! Wow, that's scary soon. But I'm beyond excited. Giveaway number two! It's only on goodreads so click and follow the link there. But it's pretty cool. Goodreads always does a good job. Lastly, basically a freebie. Anyone who enters will get some bookmarks sent to them. So, that's all that I have for you.... NOT. I have a special teaser for The Curse of Betrayal. Actually, I'm just going to give you guys most of chapter one. I'm pretty sure this is what it will end up being since I've already gone through it, so here you are. Thank you so much for hanging with me on this special day. I appreciate everyone who's commented on my posts, shared my work or just stopped by for some teasers. You're all the best and I couldn't ask for a better support system. See ya around for year two!